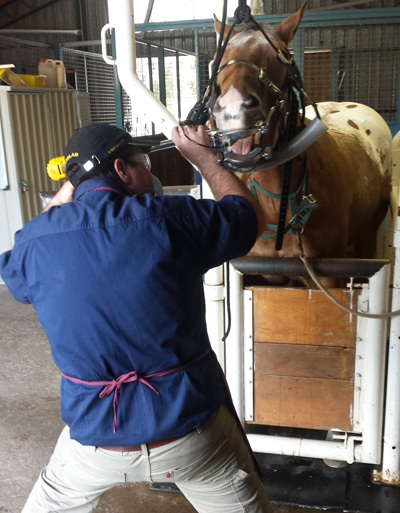 Our fully trained clinicians provide all your equine dentistry needs. We offer hand and power floating for sharp enamel points. 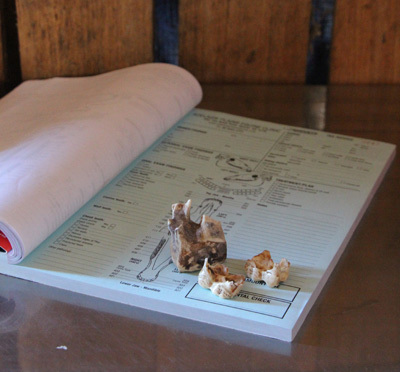 Equine dentistry however is much more than just sharp points, and requires a thorough knowledge of anatomy, development and pathology, which only your veterinarian can provide. 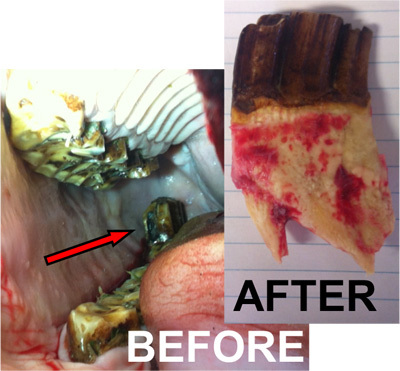 See our Fact Sheet on how and why horses get sharp enamel points and other dental pathology. Equine dentistry encompasses all aspects of the evaluation, diagnosis, treatment and prevention of any disorders that affect the teeth, oral cavity, mandible, maxilla, and the adjacent structures. We utilise both motorised and hand-powered tools to provide maintenance and preventative dental care to horses of all ages. In addition, advanced procedures such as tooth extraction, periodontal treatments and dental radiology can also be completed. Our dental veterinarians can improve relationships between the horse and rider, remove dental pain, treat disease and infection, and work towards a longer, healthier outlook for your horse. 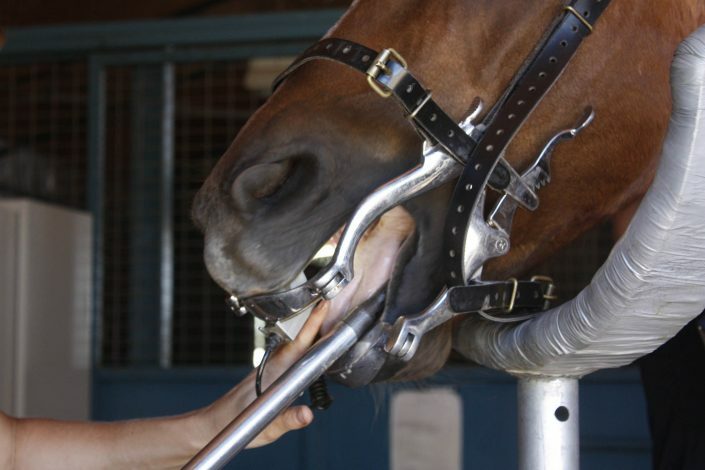 Call us today, on 08 8523 4777, about how we can help with your horse’s dental care.